Business Development support within the Boston region to CRO’s & CDMO’s to collaborate on scientific projects that are a genuine fit for all stakeholders. High-level facilitation of introductions and presentation of pipeline assets with licensing partners in EU & USA. Training for CRO & CDMO Business Development staff including private coaching. Development, hosting and implementation of Customer Relationship Management (CRM) systems. Supporting pharmaceutical and biotec companies in New England throughout the drug R&D process. Expert analysis, evaluation and selection of Contract Research, Development and Manufacturing (CRO & CDMO) partners to optimize outsourcing solutions. Scientific & operational reviews, references and case studies from CRO & CDMO’s. We have a demonstrated track record of shortening pipeline development time while maintaining quality and integrity. Personalized service combining our Worldwide experience of API chemistry & the pharmaceutical R&D business. Synthetic chemistry, API’s, Process Development, Scale-up & integrated services management, Business Development & Customer Relationship Management (CRM) systems are our core competency with 30 years expertise. Identification & support of Subject Matter Experts (SMEx) in the field of Medicinal Chemistry, Drug Development, Pharmaceutical Quality & CMC. Amalgamated 20+ years Synthetic Chemistry R&D, Scale-up, API & Intermediates manufacturing experience, WITH 15 years of Business Management in Sales, Marketing, collaborative deals and project management, TOGETHER with a formidable toolbox of chemical & process technology, INCLUDING unusual process specialities such as loop reactor, static flow, vapor phase & continuous reactions, SERVING commercial relationships to more than 500 western drug companies. Supported lead-in drug development and cost reduction activities for the WHO Global Malaria Programme. This has since become responsible for coordinating WHO’s global efforts to control and eliminate malaria. The work formed part of guidance by the Global Technical Strategy for Malaria 2016–2030 (GTS) adopted by the World Health Assembly in May 2015. Our experience, packaged into a “guidance” service to provide support for companies interested in working with Chinese CDMO’s. Whether to use China or stay domestic is the important decision that we support. Our team have helped hundreds of companies in the USA & Europe transition into a collaboration with China-based CRO/CMDO’s. It can be exceptionally beneficial, but daunting & risky. It is not necessarily the right choice, so let us guide you. It was a perfect match to center our support work in Boston and headquarter our business: Boston Biotech focuses on Drug Discovery & Development, and so do we. Over 1500 drug candidates in the pipelines of hundreds of small start-ups, executed by more than 30,000 R&D jobs, alongside established pharmaceutical incubators & world class research institutions is a collaborative ecosystem in which we decided to specialize amongst. The number of Clients we served, by supporting their R&D outsourcing activities reached double-digits. Our Customer Relationship Management (CRM) service designed specifically for CRO’s and CDMO’s in the pharma- R&D space. In a cost-effective manner, from pre-design strategy to post-deployment training, our CRM solutions deliver the functionality users expect and the flexibility a business needs to adapt and grow. Robert C. Cheif Scientific Officer, Fast Emerging BioPharma. Julie S. Sales Support Director. We are a Boston-based company specializing in the CONFIDENTIAL execution of projects that support the Business and Technical Development of New Chemical Entities (NCE's) intended to provide important new therapies for patients. Ethical approach to our Clients Intellectual Property AND Funds. Extensive technical experience in chemical development for Pharmaceutical API's. Deep successful International experience with the CRO's and CDMO's. Skills that recognize the importance of decisions made implementing IND projects. Success in USA, Europe, China and India has underpinned our success in shortening timelines. You’ve reached the right place to acquire professional research, development & Pharmaceutical Quality/CMC support services. Whether you want full-time project-specific support for several months, or just a couple of hours on a specific task, our flexible model allows or Clients to tap into an extensive network of innovators, technical experts, and seasoned professionals. Intellectual Property (IP) is the most valuable asset in your Company. Awareness & security of our Clients IP is at the heart of our business: we’ll not only protect the value of our Clients assets through traceable Confidentiality Agreements and written Protocols, but we have a proven track record of enhancing the quality and value of this IP while our Clients maintain 100% of the developed IP when using Boston Pharmaceutical Support Services. 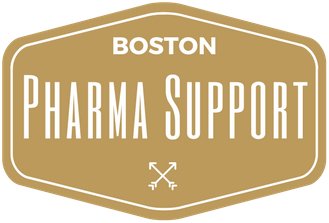 1: Personal characteristics that match the defined ethical values & core competencies of Boston Pharmaceutical Support. 2: Qualifications specific to the expert services that they support for our Clients. 3: Experience as mature professionals in the Drug Discovery and Drug Development community. Thank You for visiting the Boston Pharmaceutical Support. Work with us soon.